From the moment you announce to the world that you're awaiting the arrival of a baby - a new human being, you're barraged with lists of suggested things to buy and given plenty of unsolicited advice of how to do things. Of course you want to be physically prepared for what the baby will need. You may be wondering how you will best care for this child. It's all very important. Yet the most important gift you can give your child is one that isn't spoken of so much. It's something we all need, from birth onward and we continue to need as adults. A grounded mom is a present mom and a present mom is great gift to a child. Does this mean you'll have it all together and know exactly what to do in every situation? Not at all. Does it mean that everything will go well all the time? Not at all. We are imperfect by our nature as human beings. We wouldn't grow and develop if we were perfect. It means each day you'll wake up anew to do your best and remind yourself that the path of parenting is a journey, it's a journey into your own inner development. Out of your own inner work, your child will develop on his or her own path. Separate and connected. May wisdom shine through me. May love glow within me. Celebrate the Rhythm of Life in Caring for Children through the Year ~ I call it a living curriculum program because it is active and live each month. Around the year we go, with enthusiastic support and nourishment to help you feel grounded and confident. It is based on the view of parenting as a path of inner development, and provides warm and generous support for nurturing your relationship with your self, your family and the world, through being present with daily life and nourishing your own inner world. Celebrate provides community, and connection, nourishes your own creativity, provides practical skills and encourages you to take up artistic endeavors, find joy in the humdrum, and embrace beauty in the natural world that surrounds you, wherever you live. Focus on a simple, slower paced, natural, creative and soulful life with children, by taking stock and implementing daily, weekly and seasonal rhythms, that reflect what matters most to you, through the year. Over time, simplify and implement simple and satisfying routines, rituals and activities that deeply nourish family life for children and adults alike. With this program devoted to hearth tending and the gentle art of mothering... and fathering, you will find your distinct rhythm of the home through the year, and receive support for conscious, creative and connected parenting, homemaking and homeschooling. Together, we focus on the simple rhythms of pleasant meals, peaceful sleep, free play, fresh air, the natural world, the child parent relationship and then slowly and over time, we build up story and song, puppetry and movement games grounded in the seasons, as they manifest where you live. We begin where we are and little by little build up a repertoire of song and story, verse and rhyme, fingerplay and movement games with elements of nature to reflect the changes in the natural world where you live each month. We nurture the artist within as we weave beauty, wonder and joy into daily life. You'll receive support to bring songs, movement games, nature stories, fairy tales and simple puppetry into your child's day, as well as support for protecting the wonder of childhood and re-enlivening your own sense of awe. You'll receive support for nourishing gratitude and reverence in daily life in an authentic manner. You'll connect with others on this path. Many of us are drawn to Waldorf education from the feelings we have when we step inside a rosy warm playroom, a classroom, or experience a puppet story. Awe, wonder and beauty touch us so deeply. This work is healing and nurturing and above all a path of discovery for us, the parents. This program offers you, the parent, the possibility to delve into this healing work and create the mood you want in your home or work place. This program is geared to take you on a journey through the rhythm of the year, exploring your own connection to nature, rhythm, storytelling, movement games, your own work with your hands with food and natural materials, singing, painting, puppetry, coloring, the role and importance of color in childhood, the temperaments, the senses, the importance of movement and fresh air and the importance of each other, all within the context of our observations of our child, the developmental picture of the child and knowing ourselves. This work and way of life fosters connection through the lens of wonder, awe and reverence. Celebrate the Rhythm of Life helps you move beyond power struggles with your child. With the Celebrate eCourses and consults, you get to know yourself and find clarity in your values. You learn how to put them in practice lovingly. Solid daily, weekly and seasonal rhythms support you and your family to live harmoniously together. The Celebrate program embraces parenting as a creative practice, grounded in relationship and supported by harmonious meals, peaceful sleep, creative play, and plenty of love ~ in the fresh air! Eat :: Sleep :: Play :: Love ~ in the Fresh Air! If you are just starting out, I can help you establish household rhythms, foster imaginative play, bring stories, rhymes, verse and fingerplay to your child and develop a relationship to the festival year based on your values. With slow and simple steps. If you are experienced with Waldorf education, this program offers you a deeper understanding of yourself as a parent and of the developing picture of the child as well as a deeper understanding of the pedagogy of Rudolf Steiner and Waldorf education. Each month we bring our attention to a focus topic with simple, meditative daily work, shared in a private community of warm, wise, wonderful women and every once in a while, a man joins too. I bring twenty-five years of experience working with parents and children, from planning and preparing for homebirth, to planning a homeschool year, with work in the kindergarten classroom, caring for children in the nursery and leading parent child groups in between. My mothering experience spans nineteen years and life in different cultures and climates. I bring you generous support and encouragement for tending the hearth, for finding your daily, weekly and seasonal household rhythms, for household tasks. for artistic work, and for support and encouragement with meal planning and cooking. Through this work, we find spaciousness of time, kindle our own inner fires, in both our hearts and in our hearths. The Monthly Program consists of an eGuide with stories, activities, songs, verses, circle, movement games, fingerplay, recipes and more, grounded in the season with tutorials, audio clips, videos, notes from me, inner reflection work for you and an eCourse to help you slow down, live more simply, parent with confidence and establish daily, weekly and seasonal rhythms that work for your family. The support material also includes a fairy tale curriculum for the kindergarten child and a nature story curriculum for the nursery child. Puppetry ideas to go along with the stories are included each month through the year along with handwork, parenting support and a rich curriculum for early childhood and strong foundation for homeschooling in the grades. The Year Round Program includes all twelve months of the daily notes, Monthly eGuides, Inner reflection, Celebration ideas and eCourses. This programs builds over the months and year on the monthly topics, revisiting them in a new light to deepen understanding of the early years in Waldorf education at home. ~ living curriculum program means that it is interactive program with questions for your reflection, discussion and conversation, recordings made to meet the need of each month and opportunities to work with the material in a dynamic way. Celebrate the Rhythm of Life ~ living curriculum program provides a rich and interwoven experience of the essential elements of early childhood, with time to slowly and gradually bring them into your life, and revisit them from different angles through the year, thus deepening your experience as we spiral around to familiar topics over the course of the year. In returning the following year, the experience of revisiting the month and the topics is for an ever deepening relationship to it. If something does not make sense at first, in looking at in with another lens the following month, or the following year often reveals new insights. Year round members will have a special planning session to sketch out each coming year. Year Round Membership includes the eCourses on Rhythm, The Speech We Bring, Parenting as a Path of Inner Development , Storytelling, Discipline Play, Gratitude, Sacred Space, Warmth and much, much more. What is included each month? ~ The support material, consist of Seasonal Monthly eBooks in pdf form, online tutorials, essays, articles, audio clips, videos, notes and inspiration and daily notes from me. All the material is available online at a private site, along with discussion group. If you need to see it in action, let me know and I'll make a video. Participants may sign up for the month or for the full year. You may join as a year round member at any time of the year. Year round participants are lifetime participants and may return the following years at no charge. Community ~ a warm, wise and wonderful community where we discuss parenting concerns, balancing it all, how to best use the curriculum material, balancing housework, bringing in artistic activities, self care and most of all finding the rhythm that best supports our own families and tending to that rhythm with care, creativity and consciousness. Yes and no. This is a question I wrestle with all the time. 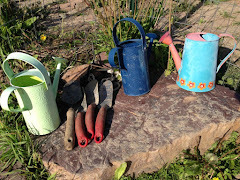 It is a curriculum as much as early childhood might have a curriculum with Waldorf education although honestly it is more of a way of life that comes out of your personal approach to homemaking and self development. 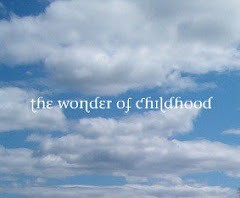 This program/curriculum guides and supports parents, child care providers, homemakers, early childhood educators and those who work with young children to find a deeper understanding of the needs of children, Waldorf/Steiner education, self knowledge, rhythm, play, strength, nourishment and community, in the task of caring for children. "Thank you so much for this very thorough discussion of circle time, really the most helpful discussion in one spot I've seen -- even in books about Circle Time. Some great ideas for me to think about. My daughter (just turned 4) *loves* circle, she loved it at 3, too, with just the two of us - she loves dancing and singing. I have the best luck with Movement Journeys and Circle Adventures by Nancy Blanning and Laurie Clark, as they present complete circles as a long story and give plenty of large and fine motor suggestions with the songs and verses, with things to climb on, etc. And they are just lovely. We often do them outside, which is so much fun. I will say they are a lot to learn, but that lends itself very well to building the circle over a 3- or 4-week cycle! An area of work for me is that I am no good with creating gestures and movements for verse, and so many books of circle times (like Let Us Form A Ring) leave them out!" "Lisa, your program is such a gift. It is so full of rich sparks of imagination. It helped me bring it all together with my family. It now comes out of me, not a curriculum or guide. Thank you." 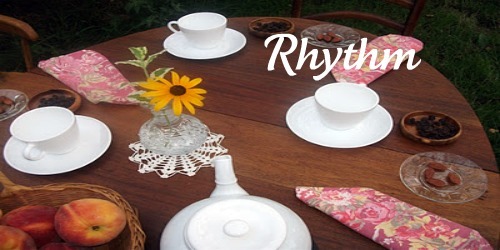 "With the help of Lisa's program, I began implementing rhythm in our home. The changes have been enormous. It has completely changed our lives. My sanity has been recovered, I feel more grounded and our relationships with each other have improved. I feel more connected with my family. Thank you!" “This wonderful course is so helpful for parents and caregivers of young children who seek to keep alive the awe and wonder of childhood in everyday life. I cannot tell you how much it has helped me in my parenting and in my childcare business. This program is enormously helpful in reminding us in simple ways of the joy to be found in everyday life and in the natural world. Who would think simple rhythms could make such a difference? So much comfort and support here that parents and caregivers can tap into and bring out into the world." "Lisa's program and the support within it gave me the confidence to homeschool my children, and we are loving it, thank you so much!" " I was like totally skeptical at first, I have done other monthly programs without really making any changes. This one is the best by far. I became a lifetime member after two months. The materials are so good and Lisa goes the extra mile in sharing her amazing wisdom." " I guess I didn't believe that mealtimes could be harmonious with young children. They are now. Thanks to Lisa's program Celebrate the Rhythm of Life through the Year. " "I'm a lifetime member and so grateful for this program. It is so much fun to discover the beautiful new materials each month. The focus work is so helpful. The circles are lovely and I now feel confident doing circle and telling stories with my children It has brought such depth to my understanding of Waldorf education, mothering and life." "...full of wisdom and magic." Because this is a digital product, purchases are final and non-refundable.